​Amy has studied & created art her entire life, attaining a BS in Art Education & MA in Art Therapy. She enjoys using line & color as an expression of her appreciation for life & appreciates the simplicity of Crayola crayons. She's done many art shows, gallery shows, as well as facilitated classes with the Georgia O'Keeffe Museum in Santa Fe, NM. She recently relocated to the Northwoods & is enjoying the wildlife & country living with her family. Jean Lake has been painting for the last 25 years. She has taken classes given by many accomplished artists in various media but her first love is oil painting. Jean likes being an artist and tries to encourage others to give painting a try. She finds that artists put a piece of their soul into there creations and Jean most certainly does that. One of our youngest members is this month's featured artist Brooke has been painting since her high school years. She thoroughly enjoys the process of creating and continues to improve and hone her skills. She hopes to expand to oils in the next year. Nancy has been an artist for over 65 years. She is self-taught and has won many awards for her work. She works in pastels, colored pencils and acrylics. Portraits are her first love which explains her many commissions. 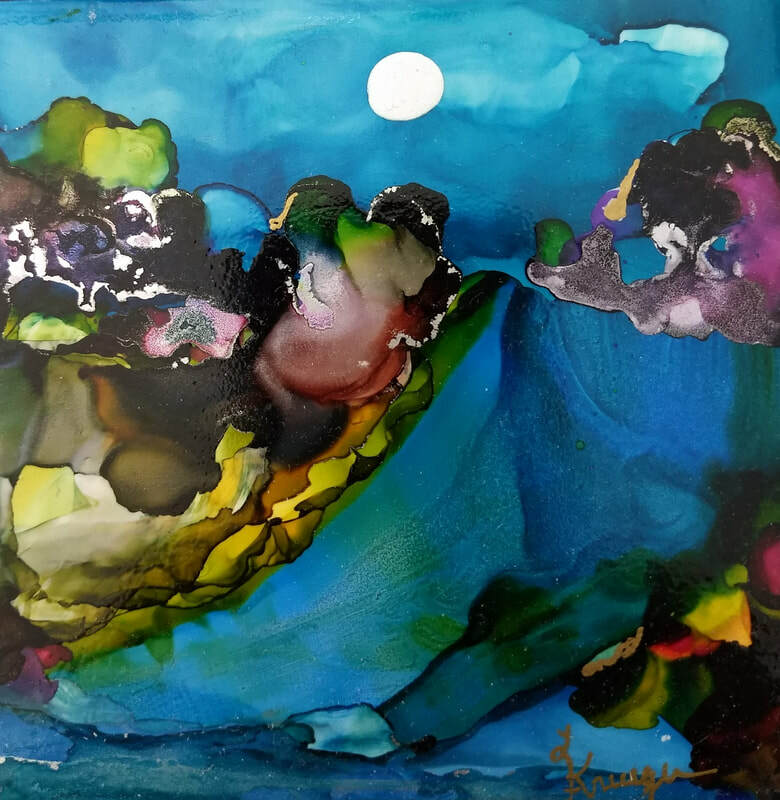 Nancy also creates beautiful landscapes and creative abstracts. Andy Fenner, at Swallow Haven Studio near Tomahawk, is an award winning pastel artist with a degree in Fine Art. She has her work in many galleries throughout Wisconsin. Andy Fenner has been teaching classes in pastels since she moved to this area in 2000. Her technique of painting with hard pastels on a canvas of suede mat board has found many happy participants. Andy has been a Northwoods Art Tour member for more than 10 years. ​Four years ago, after a career as Head Nurse for a fantastic group of physicians, Eileen Young retired to the “north woods” with her husband, Bob. Eileen and Bob spent their first year finishing the lower level of her home. Once that was done she found herself needing something to do. Three years ago, a friend suggested that they take a watercolor class together. It was during that class that Eileen fell in love with watercolor painting. She loves how the water moves the paint, making it dance, and creating magic. Every day, watercolors take her on a wonderful journey. 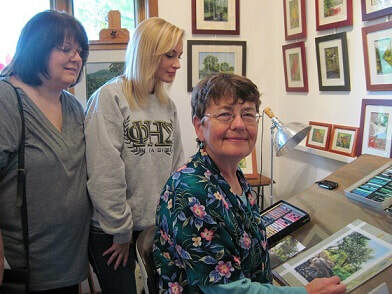 ​Deb Lund feels that she is living the artist's dream. Recently retired from a position as a Hospice Nursing Supervisor for Northwestern Medicine in Illinois, she is creating full time in her home in Rhinelander. Although she has been painting for the last 20 years retirement has affored her the time needed to create. She paints colorful and carefully composed watercolor, pastel and acrylics depicting many subjects. She was a nurse for 35 years and saw much suffering so she hopes to create art that evokes joy, brings warmth to the viewer. ​ Lisa Krueger feels blessed to live in the beautiful northwoods of Tomahawk. Being surrounded by so much beauty inspires her to capture a specific feeling; a moment on the canvas that she is able to enjoy and share with others. ​ Lisa has always loved art and being creative, feeling that her passion for art is a gift from God. Throughout her life she has used her creativity in various ways. Being a Pre-School Teacher and Christian Education Director allowed her to pour all her creativity into planning, programs, and working with children and youth in a fun and creative setting. Stepping away from full time employment a few years ago has allowed Lisa to focus on creating art. She loves working in a variety of mediums such as watercolor, pastel, acrylic, mixed media, and alcohol ink. Lisa has taken various classes throughout the years and is thankful for the wonderful teachers along the way that have guided her in her artistic journey. Another aspect of art Lisa enjoys is teaching. Sharing what she has learned brings her joy. She loves helping others grow creatively and enjoys the process. Her art can be found in area galleries. 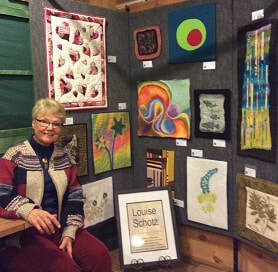 Lisa also invites the public into her creative space during the Northwoods Art Tour. Louise Schotz, Mike McQueen, Andy Fenner, Susan Lansdown,, Nancy Paquet, Mike Pogorzelski, Sharon Feathers, Jean Lake, Lisa Krueger, Helen Wolk, Eileen (Pede) Young and Joyce Nelson.